The age-old question of “who gets to decide?” has recently been answered as “the group” as social media plays a bigger role in everything from what movie to watch, to which politician to elect. The focus is now on the tools and terminology that go into “collaborative” decision making, and the knowledge systems that present the “outcomes” of those decisions. The timing is critical for this next wave of technology, as concerns rise over decision transparency, brain-drain, accountability, business innovation, and education reform. John Lewis holds a doctoral degree in educational psychology from the University of Southern California, with a dissertation focus on mental models and decision making. John is a knowledge management business consultant and speaker, and a member of The George Washington University Institute for Knowledge and Innovation. 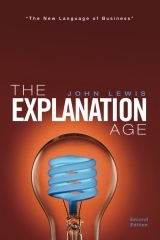 John is the author of the book “The Explanation Age,” which provides tools for the coming age of knowledge and decision transparency, with implications for business, education, and governments. 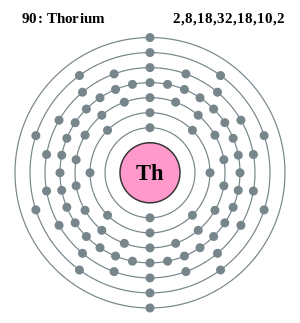 Electricity produced by a liquid fluoride thorium reactor promises to be cheaper than electricity produced by burning coal. Replacing coal burning power stations is the fastest way to slow atmospheric CO2 emissions and to stop particulate soot that kills millions of people. Few nations will adopt carbon taxes or energy policies against their economic self-interests to reduce collective CO2 emissions. Energy cheaper than coal will dissuade all nations from burning coal. Innovative, less expensive energy technology relies on economic persuasion to end the pollution, to provide energy and prosperity to impoverished peoples, and to create energy security for all for all time. Robert Hargraves graduated from Dartmouth, then got a PhD in physics at Brown, then taught math and computer science at Dartmouth and contributed to development of the time sharing system there. He pursued a career in software development, information technology consulting and management. Retired from Boston Scientific where he managed information technology. The new iPad is here, along with an upgraded AppleTV. So what do they have to offer and how are they going to mesh with the upcoming OS X update? This week joining us on the show to discuss the Apple Ecosystem is Gabe Gagliano. Gabe Gagliano writes Tech of the Hub. Tech of the Hub is a blog dedicated to getting the best audio and video experience in the home without busting the bank. The blog covers topics such as HD, surround sound, Netflix, home theater gear, video-streaming services, gadgets and of course, Apple. While he’s not blogging, Gabe provides IT consulting services to companies. Most of his career, Gabe has successfully led IT teams to create value for businesses. Gabe has experience in both B2B and B2C with specific experience in consumer goods, software, government and political campaigns. You can follow Gabe on twitter at @TechOfTheHub or on Facebook at facebook.com/techofthehub.